NEW YORK -- Former Secretary of State Hillary Clinton on Wednesday called the kidnapping of 300 schoolgirls in Nigeria "abominable" and said the government of Nigeria must accept aid in the effort to bring them home. "The seizure of these young women by this radical extremist group, Boko Haram, is abominable," Clinton said while speaking Wednesday at Philanthropy New York's 35th Annual Meeting at the Ford Foundation. "It's criminal, it's an act of terrorism and it really merits the fullest response possible - first and foremost from the government of Nigeria." Clinton said the Nigerian government has been "somewhat derelict" in protecting its citizens. "The Nigerian government must accept help, particularly intelligence, surveillance and reconnaissance help," she added. "Their troops have to be the ones who do what is necessary but they can do a better job if they accept the offers that are being made." Clinton has previously weighed in on the issue on social media. On Sunday, she tweeted "Access to education is a basic right & an unconscionable reason to target innocent girls. We must stand up to terrorism. #BringBackOurGirls"
A massive social media campaign via the Twitter hashtag #BringBackOurGirls has taken off globally in recent days and protests have been held all across the country. 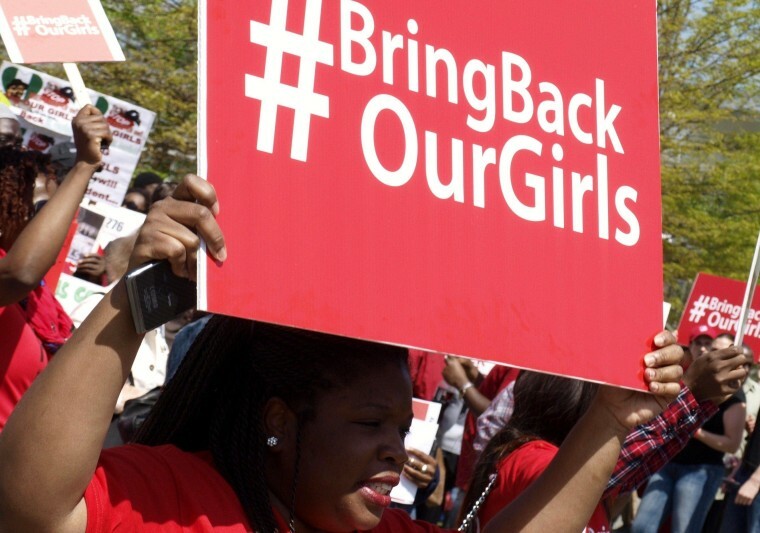 The United States government announced Tuesday they are sending a team to Nigeria to help with finding the missing girls. The Islamist group Boko Haram has claimed responsibility for the kidnappings. Clinton was also asked about House Republicans efforts to form a committee to investigate the 2012 attack on a U.S. consulate in Benghazi that occurred while she headed the State Department.